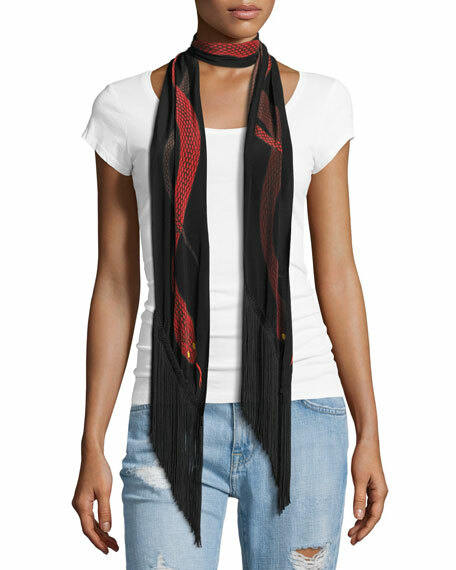 Rockins classic skinny scarf in silk with snake print. An ideal accent for casual attire. Asymmetric ends with fringe trim. For in-store inquiries, use sku #1890055. 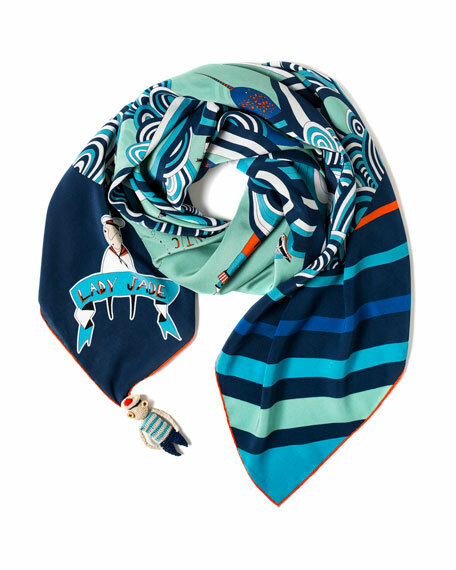 Jane Carr "The Stripe Garconne" reversible skinny silk twill scarf. 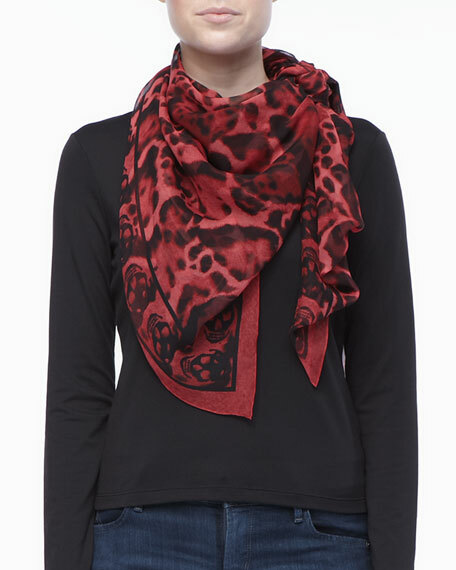 Featuring assorted patchwork bandana print. Approx. 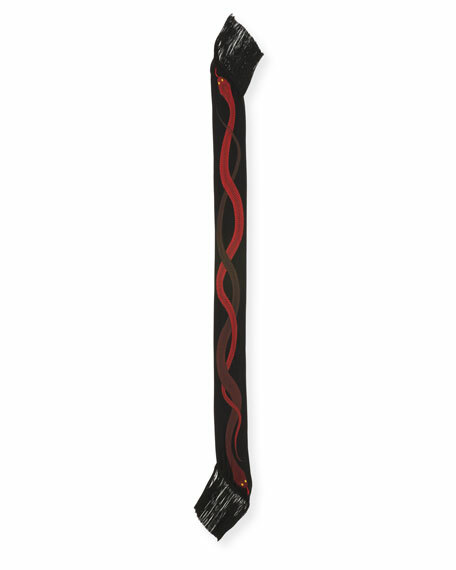 4.1"W x 53"L (10.5 x 135cm). Lightweight, seasonless fabric. May be styled multiple ways. Made in Italy. 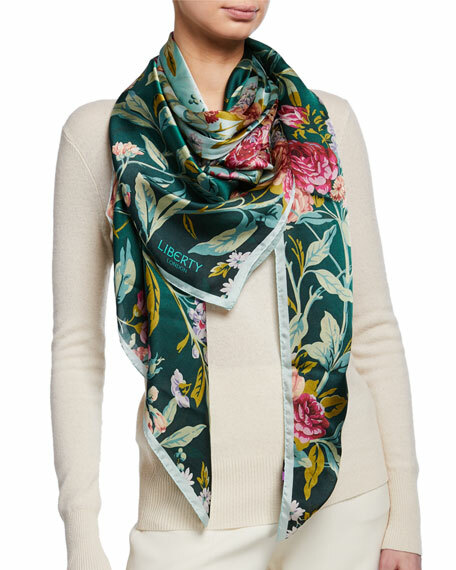 Liberty London "Desert Rose" print scarf. Approx. 55" (140cm) square. Archive print, season exclusive . Lightweight, seasonless fabric. May be styled multiple ways. Solid border with finished edges. Silk. Made in Italy.